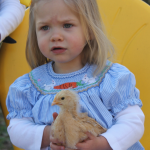 A new batch of baby chicks is always a part of springtime for us! 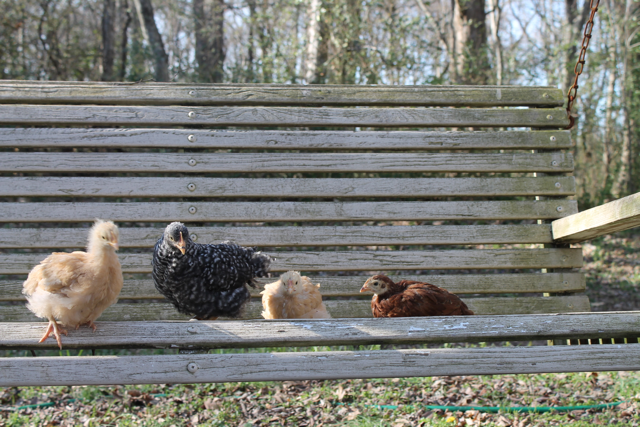 We decided to have a mixed flock of laying hens and picked out some Barred Rocks, Rhode Island Reds and Buff Orpingtons. 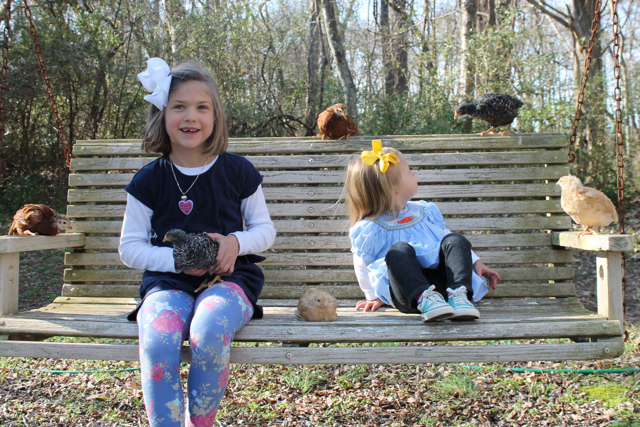 The kids have enjoyed watching the day old chicks grow into young hens. 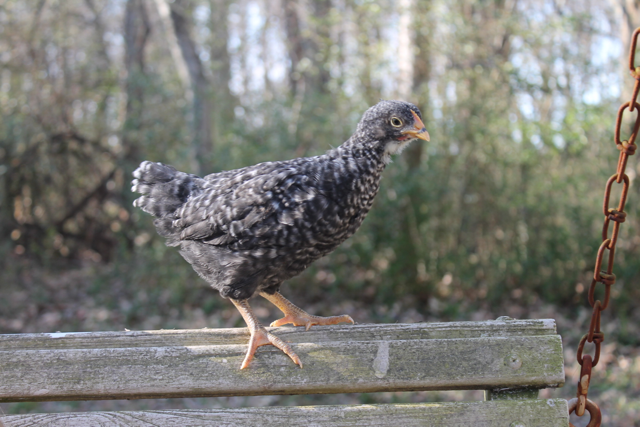 We start them under a heat lamp in a livestock tank for the first few weeks. 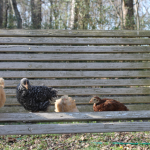 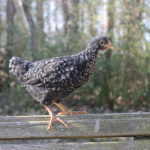 When the hens become fully feathered they will be ready to go to the chicken coop. 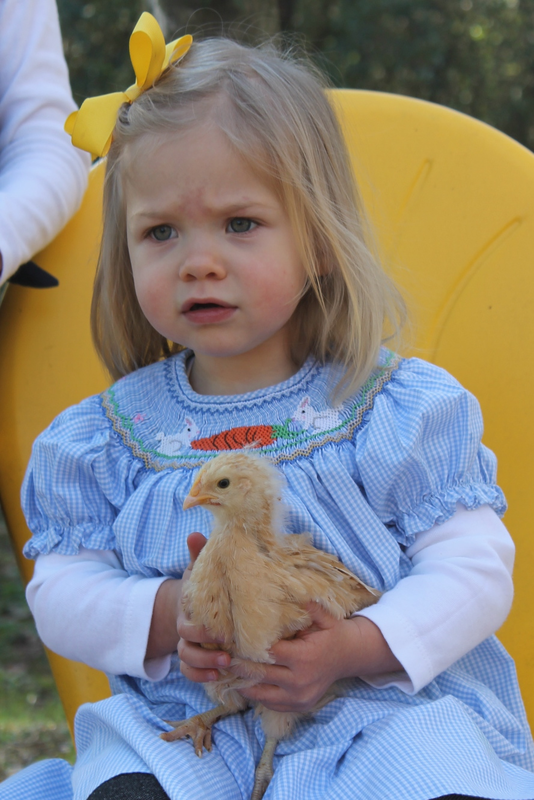 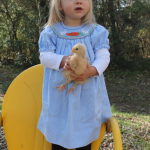 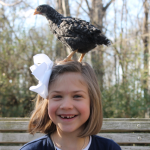 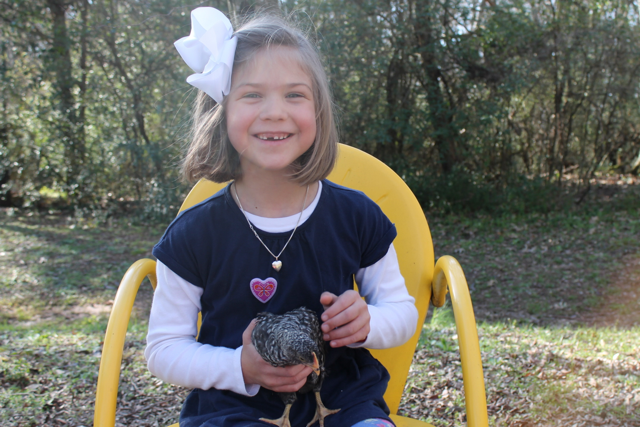 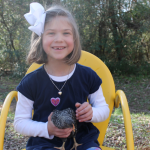 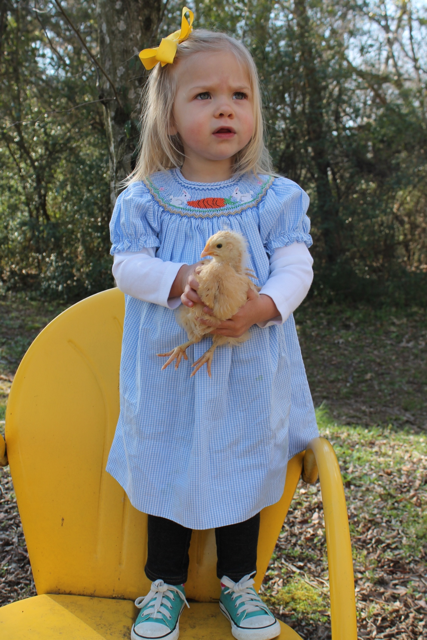 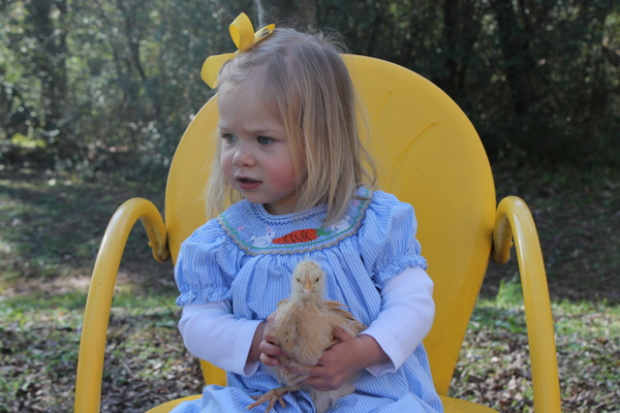 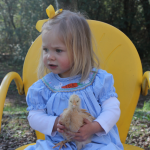 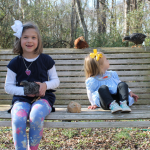 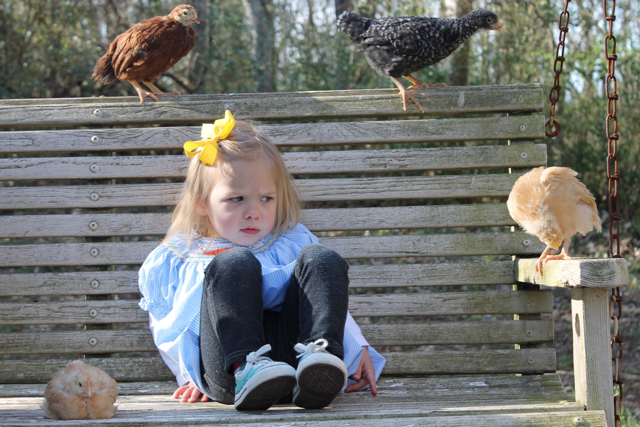 This little batch of hens will be docile and friendly – they have been handled by the kids daily. 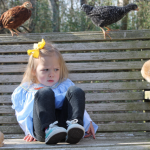 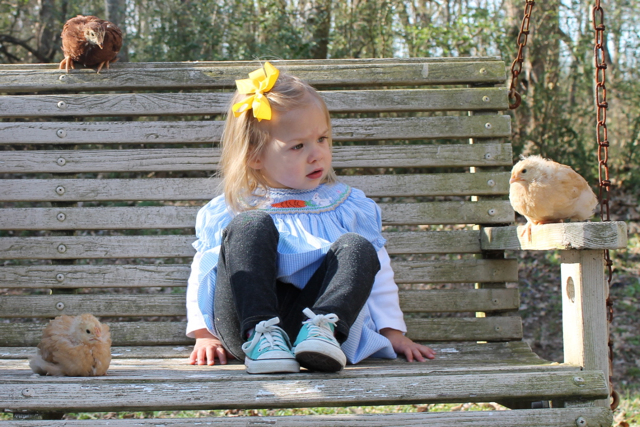 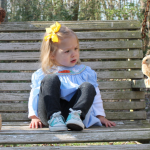 You have to keep a close eye on the chicks! 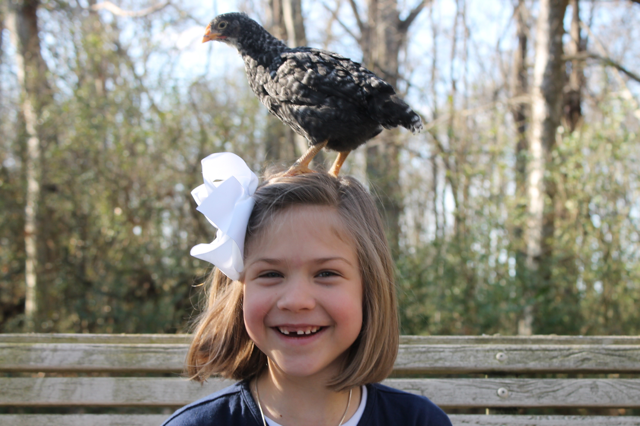 Or they may end up on your head!